WNO is currently seeking a Head of Artistic Planning, to drive forward the Company’s artistic plans in accordance with its strategic goals. 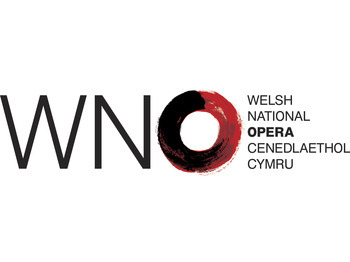 Welsh National Opera are looking for a Corporate Development Officer to join their dynamic fundraising team in Cardiff Bay. This is a great role for someone looking to develop a career in fundraising, working with one of the largest fundraising teams in Wales. Mae Llenyddiaeth Cymru yn chwilio am unigolyn llawn gweledigaeth i arwain y sefydliad fel Cadeirydd. Mae’n awyddus hefyd i benodi Cyfarwyddwyr newydd i ymuno â’r Bwrdd Rheoli. Literature Wales is looking for a dynamic and inspiring individual to lead the organisation as Chair. It is also seeking to appoint new Directors to join its Management Board. National Youth Arts Wales (NYAW) are recruiting for a Chief Executive to join a small team based in the Wales Millennium Centre. Richard Newton Consulting & Recruitment are currently seeking a permanent Recruitment Executive to work with us at our office in Cardiff. Richard Newton Consulting & Recruitment are currently seeking a permanent Fundraising Executive to work with us at our office in Cardiff. This is an exciting opportunity for a Major Gifts Fundraiser. This is a new post reflecting the commitment of the Wales Millennium Centre to develop further its relationship with major donors nationally and internationally. Disability Arts Cymru is the only all-Wales disability-led disability arts organisation, working across all art forms to provide a voice for disabled and Deaf people throughout Wales in all matters relating to the arts. This includes disabled-led projects and events, mentoring/support for disabled artists, network groups and more. They are now recruiting for a Director to lead the strategic and artistic direction of Disability Arts Cymru. Voices from Care is Wales’ leading charity representing the experiences and interests of young people who are, or have been looked after in Wales. This post will work with young people from care experienced backgrounds to enable them to have their voices heard and to in doing so improve their life situations – both collectively and individually. An exciting opportunity for a bi-lingual Corporate Fundraising Officer experienced in working with corporate donors. An exciting opportunity for a Corporate Development Manager experienced in working to targets of circa £500,000 per annum. Voices from Care – Wales’ leading charity for care experienced people is seeking a Business Support Manager. Responsible to the Chief Executive the post holder will be a key position in the charity ensuring that the charity delivers excellence across all of its support and governance functions. This is an exciting opportunity for a Trusts and Foundations Fundraiser experienced in handling budgets of circa £500,000 per annum. Touch Trust is a pioneering charity that offers unique creative movement and educational programmes for disabled children and adults across Wales. We are seeking a Chief Executive who is an inspiring and innovative leader, a powerful communicator with a proven ability to manage a wide range of stakeholders.